This project came about from a request from my rep to create a piece for our yearly calendar project. We were partnering with the Field Museum in Chicago to develop imagery that honors the immense fossil collection at the museum. One of my favorite things about the Field Museum has always been the mural paintings by the artist Charles Knight. He worked with many of the archaeologists of his day to develop all of the mural work he did in New York and Chicago. His great fascination with all of these artifacts and the animal kingdom, We’re quite evident in his paintings. My goal with this piece was to honor some of that fascination he obviously had in this work. I also have been inspired by the work of M.C. Escher. I know this has been done before but I thought it might be a fun exercise. 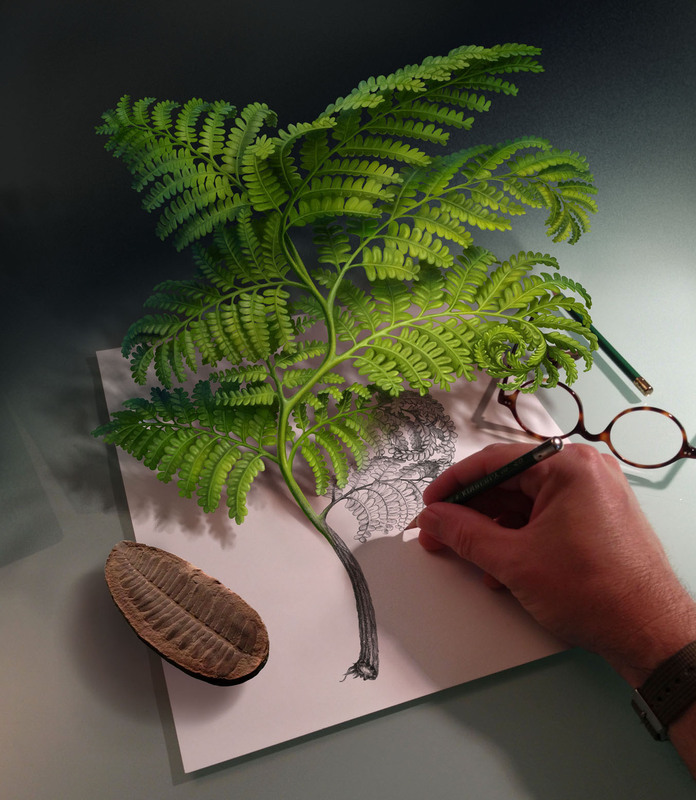 It certainly is different for me to use photography, but I thought it might be good to show the contrast between the imagined illustration of a fern and a real photo. 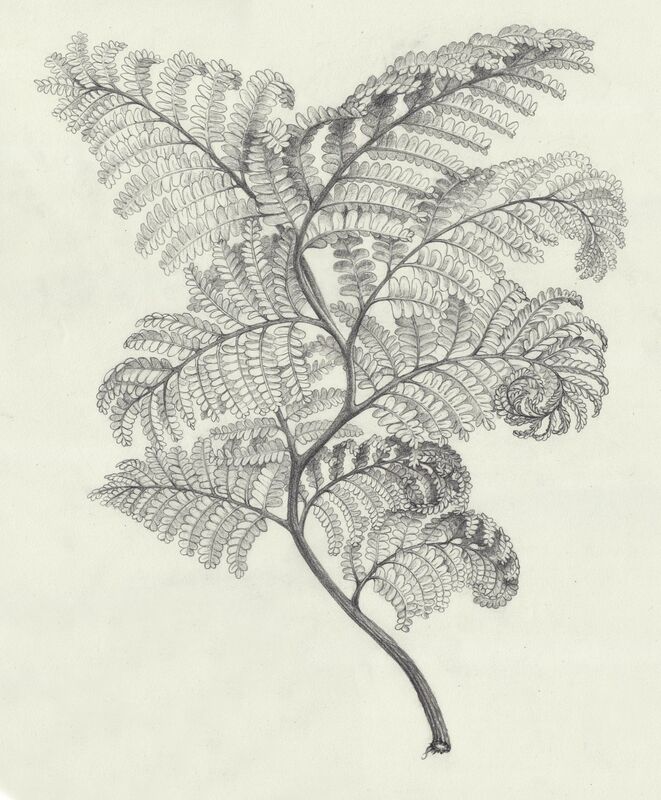 It certainly was a challenge to draw the fern in this imagined view from the obscure photo reference I was able to get. It had to be made up entirely. But I guess that’s just the point Charles Knight was trying to imagine things that were a mere shadow of what they were, and bring them to life.